See Ancient Egypt's most famous monuments in two days while being in Hurghada. 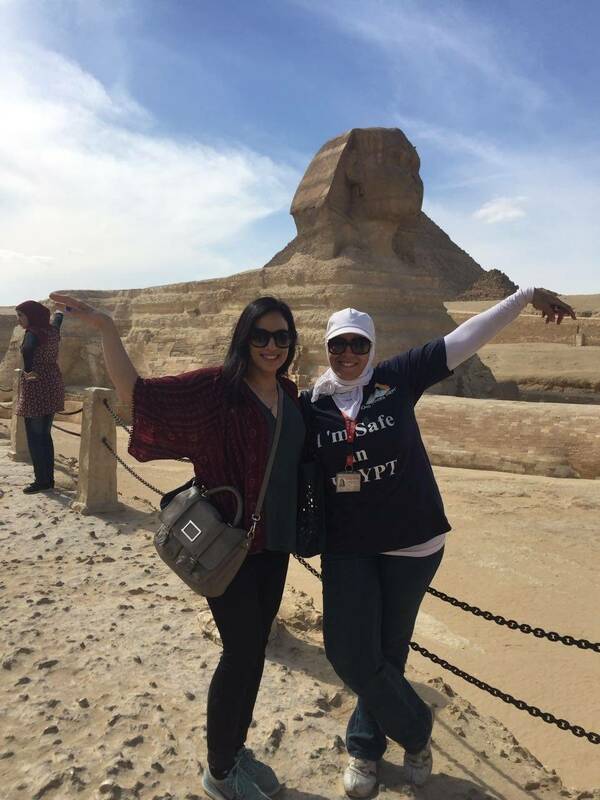 Fly from Hurghada to Cairo to visit the Pyramids and Sphinx at Giza and the Egyptian Museum in Cairo, and then head to Luxor by the sleeper train to see Karnak Temple and Valley of the Kings then drive back to Hurghada.See Ancient Egypt's most famous monuments in two days while being in Hurghada. 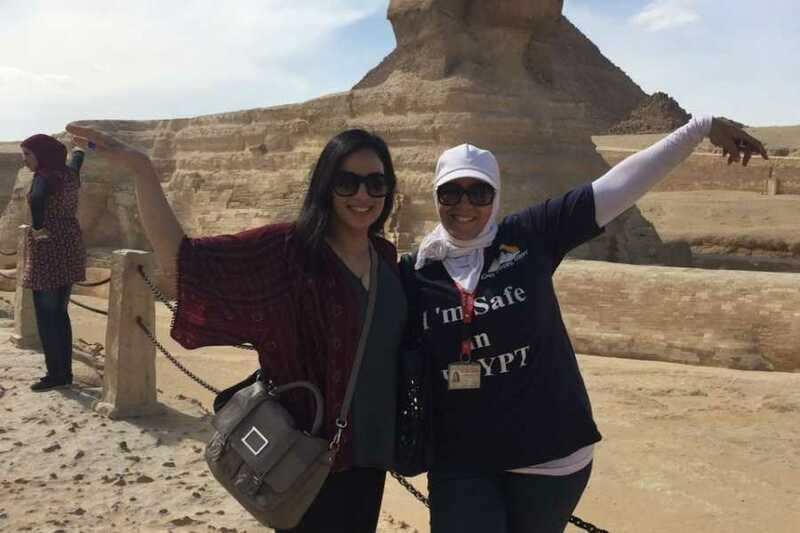 Fly from Hurghada to Cairo to visit the Pyramids and Sphinx at Giza and the Egyptian Museum in Cairo, and then head to Luxor by the sleeper train to see Karnak Temple and Valley of the Kings then drive back to Hurghada. At the morning you will be transferred from your hotel in Hurghada or El Gouna to Hurghada International Airport for flight to Cairo where you will be met by your Egyptologist guide to visit the famous Giza Plateau, is one of Egypt’s greatest attractions. Visit the Great Pyramids, Which is ONE of the Seven Wonders of the ancient world including the Great Pyramid of Cheops, middle pyramids of Chephren, the little one of Mykerinos and mysterious Sphinx, the Father of Terror for the ancient pharaohs, the tour includes visit to the valley temple facing the great sphinx. Lunch will be served at a local restaurant in Cairo, then you will have the chance to enjoy some free time for shopping at Cairo famous bazaars and original papyrus institutes. Then you will be transferred to Giza train terminal for your sleeper train to Luxor, Overnight stay onboard the train. Upon your arrival at Luxor train station, your tour guide will pick you up from the sleeper train in Luxor by an air-conditioned van to visit the famous Karnak temple the largest place of worship ever built. Its ancient name Ipet-isut means "the most sacred of places." The temple, or, more correctly, the complex of temples, was built over more than two thousand years by generation after generation of pharaohs. Within the complex, the great "Hypostyle Hall" is an incredible forest of giant pillars. Then move on to the West Bank of the River Nile to visit the two colossal statues of Amenhotep III (Colossi of Memnon), and then visit the Valley of the Kings, where the magnificent tombs discovered, those tombs were carved deep into the desert rock, richly decorated and filled with treasures for the afterlife of the pharaohs, you will visit 3 tombs. Continue driving to visit the Hatshepsut temple at El Deir El Bahary. Free time at leisure in Luxor for shopping before driving back to your hotel in Hurghada. Optional activities in Cairo and Luxor.